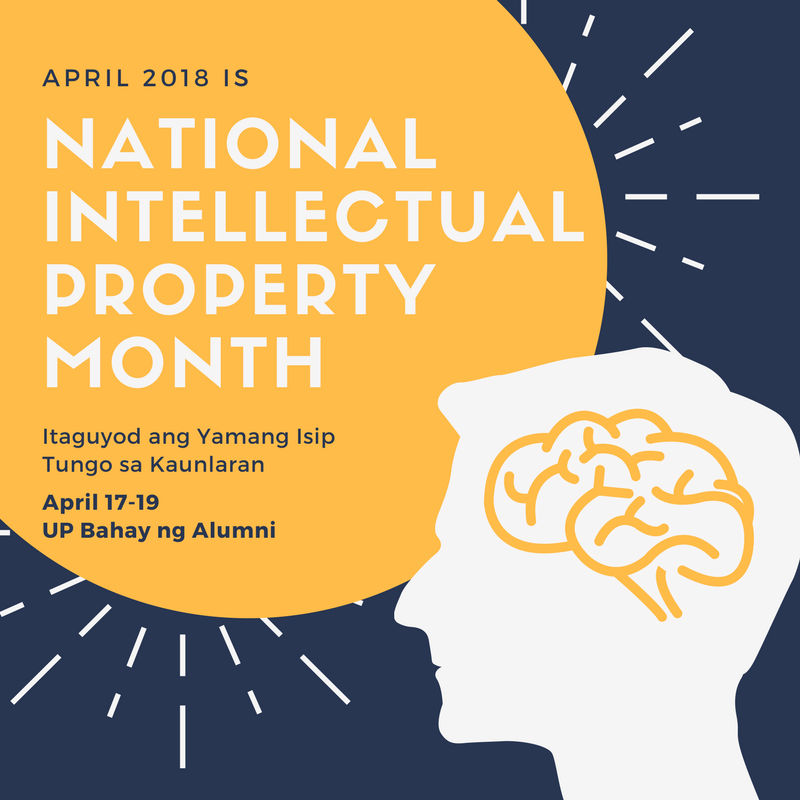 Since 2017, April has been celebrated as the National Intellectual Property Month by virtue of Proclamation No. 190 signed last April 4, 2017 in view of international celebrations on intellectual property such as the World Book and Copyright Day and the World Intellectual Property Day. 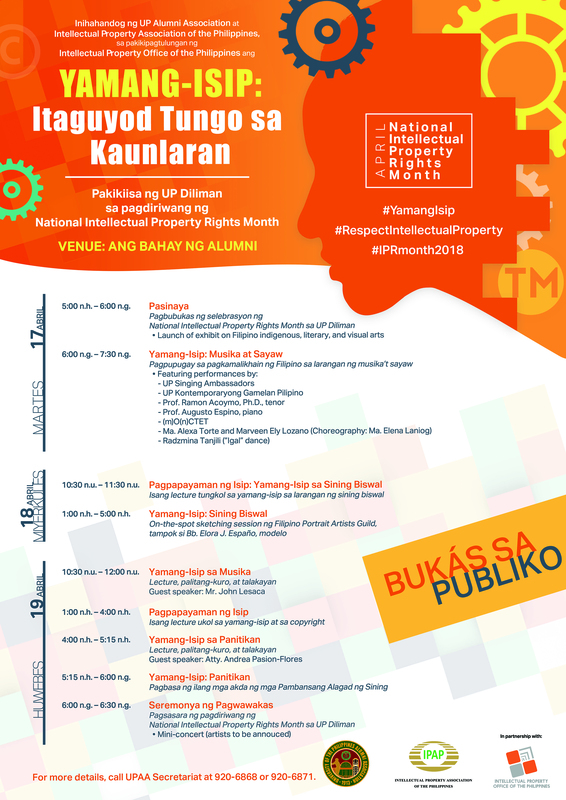 In this light, the University of the Philippines Alumni Association is inviting everyone to attend a series of events organized in partnership with the Intellectual Property Office of the Philippines and the Intellectual Property Association of the Philippines. The three-day celebration from April 17-19 with the theme Itaguyod ang Yamang Isip Tungo sa Kaunlaran will feature an exhibition of Philippine indigenous works, contemporary visual arts, publications and live performances in music and dance. The event will be held at the UP Bahay ng Alumni in UP Diliman. For more information, contact the UP Alumni Association Secretariat at 920 6868 and 920 6871 or email them at [email protected].